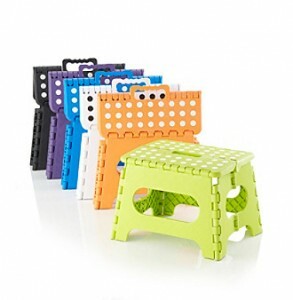 Bon-Ton has LivingQuarters Folding Step Stool Sale. Only $10 - 25% off with coupon code FRIFAMOCT14 = $7.50 (reg. $26). Shipping is free with coupon code FREESHIP. Available in 6 bright colors. Supports a 300 pound capacity.